The Ostrogoths were the eastern branch of the Germanic people called the Goths. They traced their origins to the Greutungi – a branch of the Goths who had migrated southward from the Baltic Sea and established a kingdom north of the Black Sea, during the 3rd and 4th centuries. They were subjugated by the Huns in 370 AD, and little is heard of the Ostrogoths for about 80 years, after which they reappear in Pannonia on the middle Danube River as federates of the Romans. After the collapse of the Hun empire after the Battle of Nedao (453), Ostrogoths migrated westwards towards Illyria and the borders of Italy. 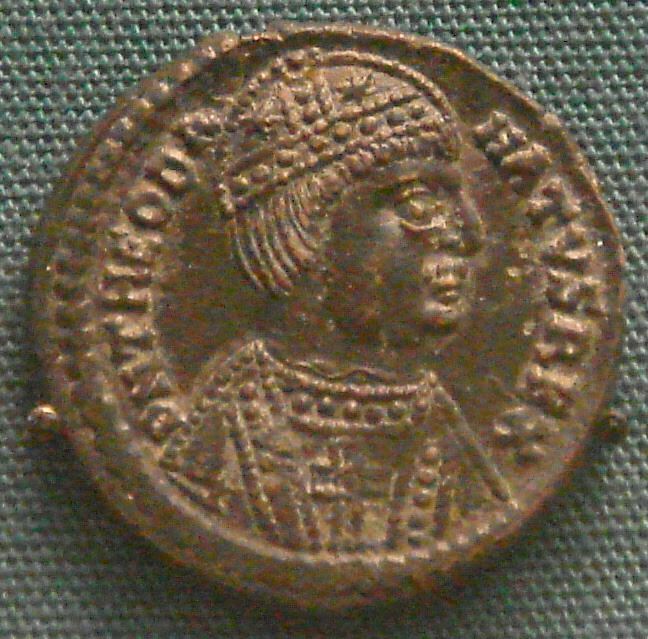 During the late 5th and 6th centuries, under Theodoric the Great most of the Ostrogoths moved first to Moesia (c. 475–488) and later conquered the Kingdom of Italy of the Germanic warrior Odoacer. In 493, Theodoric the Great established a kingdom in Italy. After a devastating war against Justinian I, the Ostrogoths were absorbed by the Lombards.